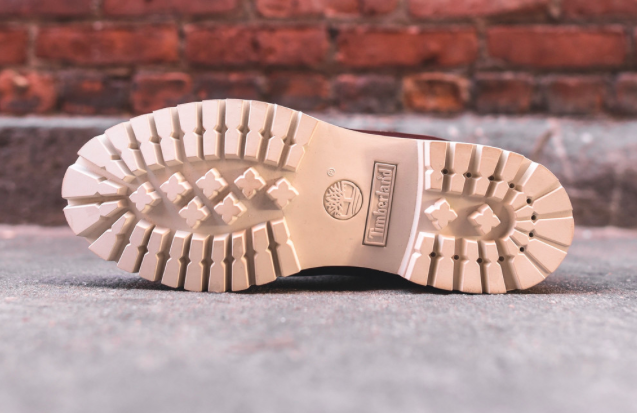 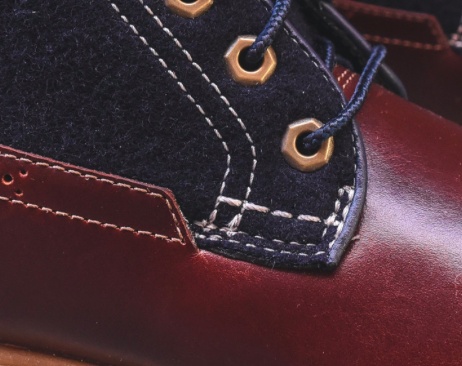 If winter is a wonderland then your footwear should be equipped wonderfully. 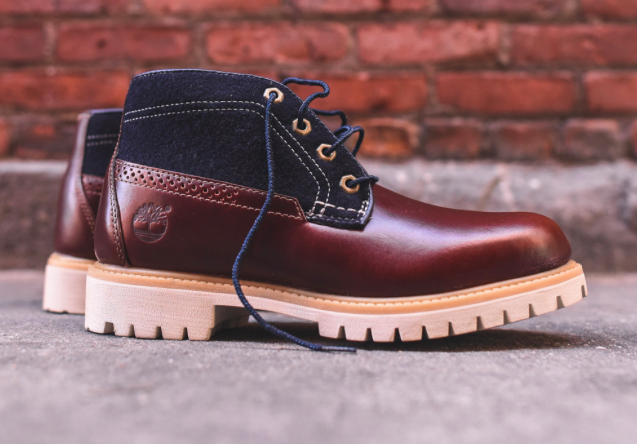 Timberland's Chukka in Chestnut Quartz is a very handsome update to the brand's classic silhouette. 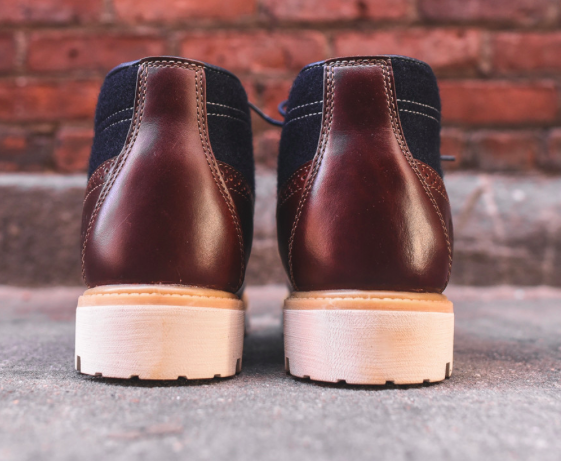 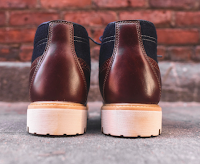 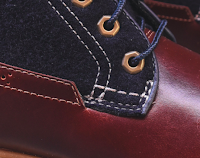 The upper consists of a smooth chestnut leather upper and a navy blue wool saddle and face panel. 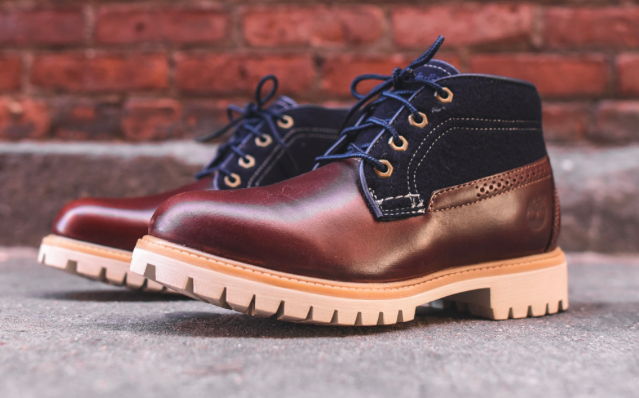 Both rugged and handsome, this boot delivers to make sure you'll be stepping secure in that winter wonderland. Available now at KithNYC.com.